Syslog is a messaging standard which is typically used to centralize the logs of all the devices and software that is running on your network. 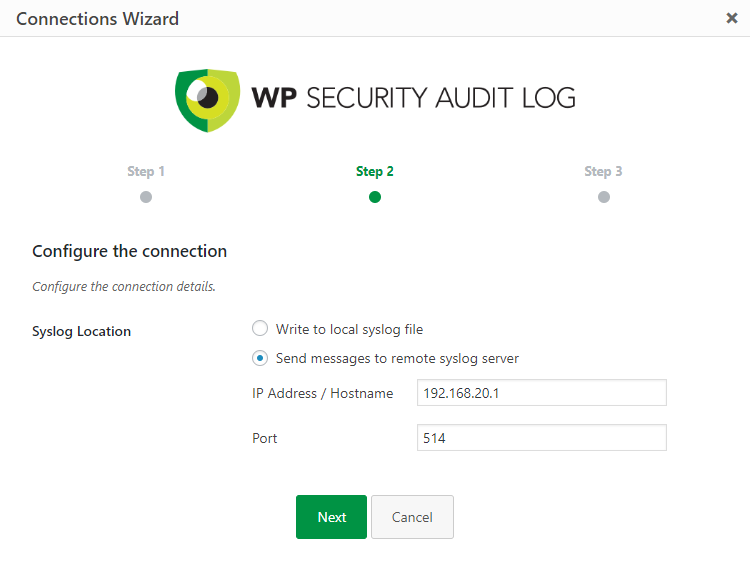 The WP Security Audit Log plugin can be easily integrated with Syslog so you can export the WordPress activity log to your server’s syslog or to a remote one. By mirroring the WordPress audit trail to syslog you can centralize the logging of your WordPress site with all the logs of other services, and ensure the audit trail is not tampered with and always available, even in the unfortunate case of a successful hack attack. 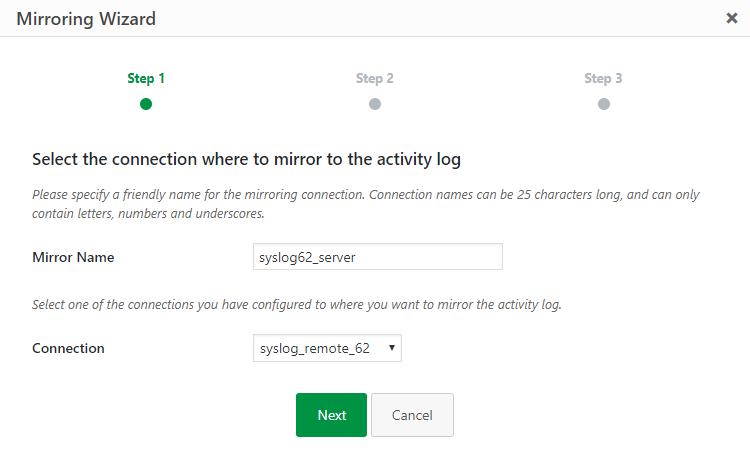 Select Syslog from the Type of Connection drop down menu in the first step of the wizard. or a remote syslog server by selecting Send messages to remote syslog server. If you select to send the messages to a remote syslog server, specify the IP address and port of the remote syslog server in the respective placeholders. Select the Syslog connection you’ve just setup from the Connection drop down menu.